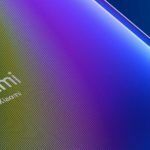 Xiaomi was known for offering phones with great specifications for the price, but fracturing the experience by MIUI software. Last year, the company took a step in the right direction with the Mi A1 (Review). The first Android One branded smartphone from Xiaomi proved that it can do software well, too, and the Mi A1 turned out to be one of the best mid-range smartphones of 2017. In fact, we called it a “Budget Masterstroke By Xiaomi“. 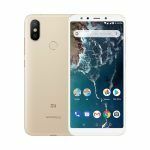 This year, Xiaomi announced the Mi A2 with a price tag of INR 16,999. 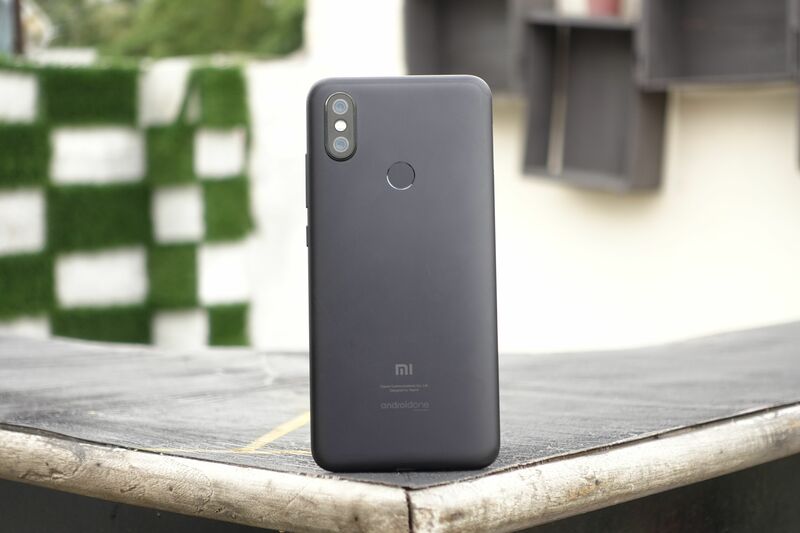 The Mi A2’s biggest competition at the time of its launch was the Redmi Note 5 Pro (Review), which is priced exactly similar for its 6GB RAM variant. However, things get really interesting when you also add the ASUS Zenfone Max Pro M2, Honor Play (Review), Realme 2 Pro and the POCO F1 (Review) to the comparison. 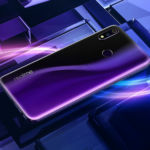 The Honor Play and the POCO F1 offer flagship-grade processors and 4000mAh batteries. 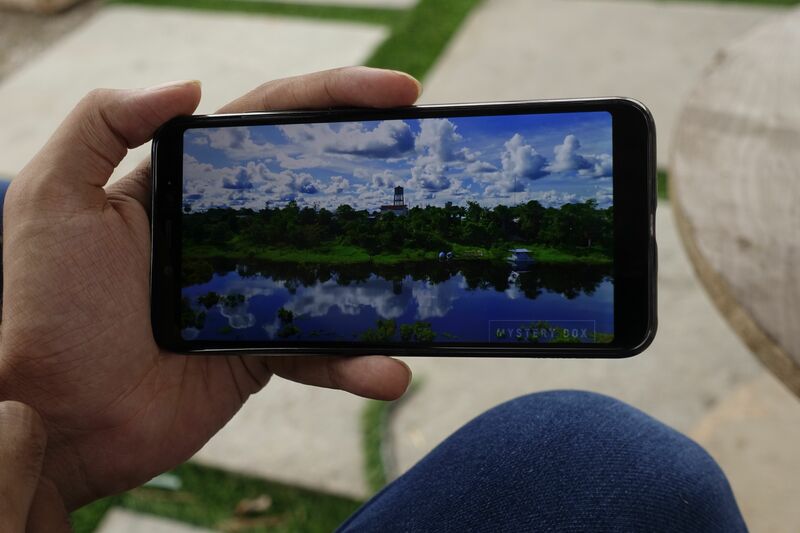 On the other hand, phones like the Motorola One Power (Review), the Realme 2 Pro, the ASUS Zenfone Max Pro M1 (Review), are priced lower but offer much larger batteries and competent processors. We’ve used the phone for months before writing this review. So, how did the Mi A2 hold up over the course of this time? Should you put your hard-earned money on this Android One phone? Let’s find out in our long-term review of the Xiaomi Mi A2. 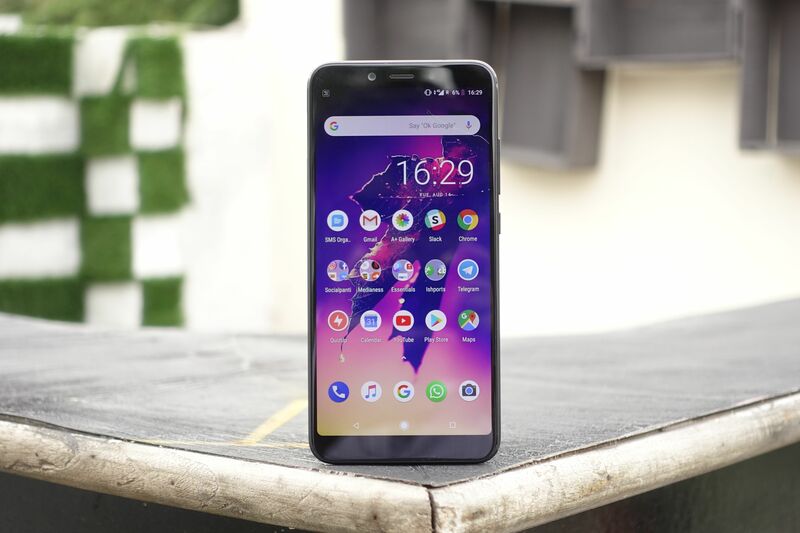 I used the 64GB storage variant of the Xiaomi Mi A2 for more than three months before writing this review. I was using an Airtel 4G LTE SIM card during this period. Generally, my usage included an uninterrupted connection to a Wi-Fi access point or cellular data. 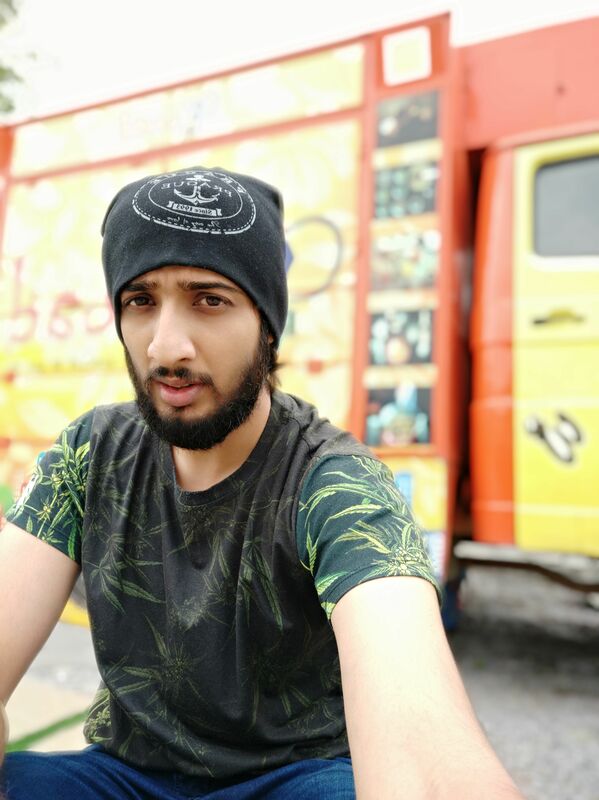 My everyday mobile usage includes a lot of social media, an hour or so of music through earphones, playing a lot of PUBG Mobile and using Google Maps for my daily commute. I used the phone at auto brightness settings almost all the time. Xiaomi Mi A2 Review: What’s In The Box? The Mi A2 is the most premium feeling phone from Xiaomi under the INR 30K mark. 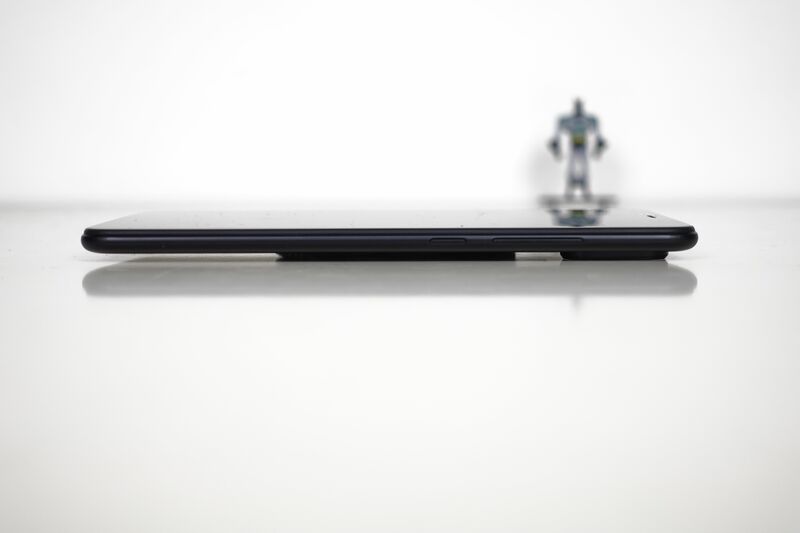 It has a beautiful unibody metal design with curved edges. However, Xiaomi has decided to keep the design too thin for my liking. The Redmi Note 5 Pro and even the Mi A1 feel much more substantial in the hand. 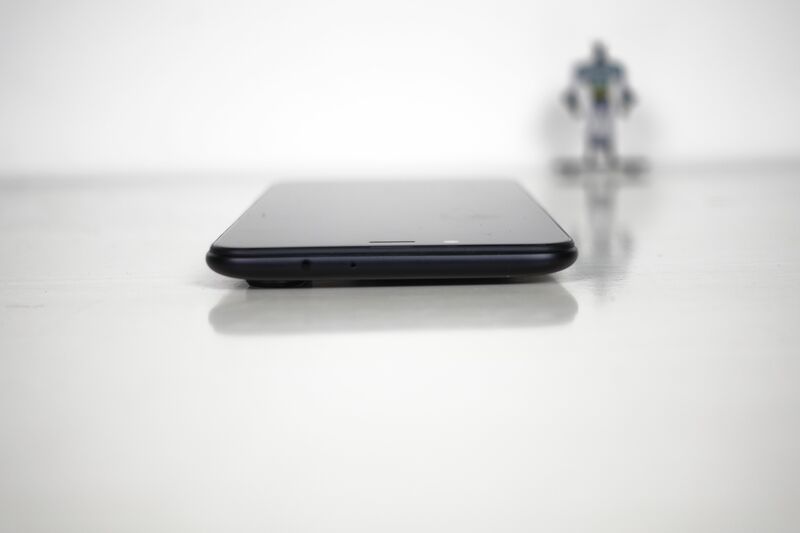 The Mi A2, though, is pretty manageable with one hand, thanks to the thin profile and those curved edges at the back. 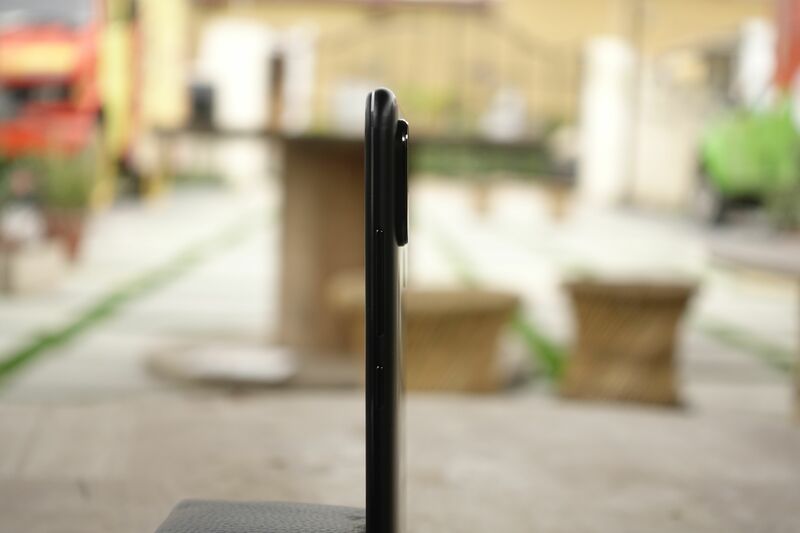 One more quirk that you’re going to notice this a lot during your time with this phone is that the thin profile means there’s a huge camera bump on the Mi A2’s rear. The camera bump is not just disturbing when you place the phone on a flat surface, but there’s also that constant fear of scratching the camera module glass. Thankfully, Xiaomi has included a soft case in the box for the A2 and that does improve the situation by a lot by masking this bump. Also, a welcome addition is the IR blaster at the top, which means you can control your TV, set-top boxes and other appliances via your phone using the Mi Remote app. At the front, There’s little to differentiate the Mi A2 from any other Xiaomi phone of 2018. There’s an extra-tall screen, but there are still some bezels present above and below the screen. I’m not really a fan of designs where the power button and the volume rocker are on the same side of the phone, but once you get used to the placement, it actually makes your one-handed usage experience better. 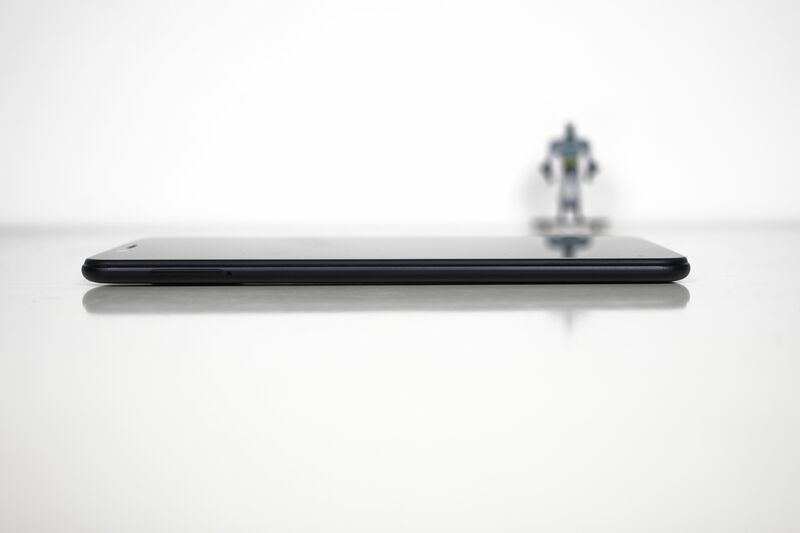 The Mi A2 measures 158.7×75.4×7.3mm, which is 3.3mm taller, and actually 0.4mm narrower than the Mi A1. One of the standout features in this price range is the inclusion of a Type-C USB port. However, with a good decision, comes a surprisingly bad one too. The Mi A2, for some weird reason, doesn’t come with a 3.5mm headphone jack. And that takes away all the positives from the build and design perspective. Another bummer for some would be the fact that despite having a dual-Nano SIM card slot, it doesn’t come with a hybrid microSD card slot, so there is no scope for memory expansion on the Mi A2. Keeping up with the 2018 trend, the 16:9 aspect ratio screen on the Mi A1 has been replaced by a 5.99-inch extra-tall display with 18:9 aspect ratio on the Mi A2. It is the exact same panel which is used in the Redmi Note 5 Pro. It’s an IPS LCD panel and for the price, it offers great viewing angles and good color reproduction. 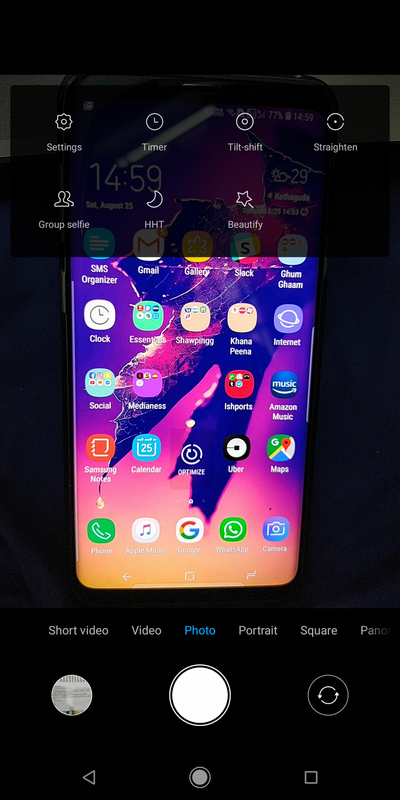 However, the screen’s brightness caps out at ~400 nits and that’s a bummer, especially if you’re trying to use the phone outdoors on a bright sunny day. Otherwise, the screen is good for media consumption. 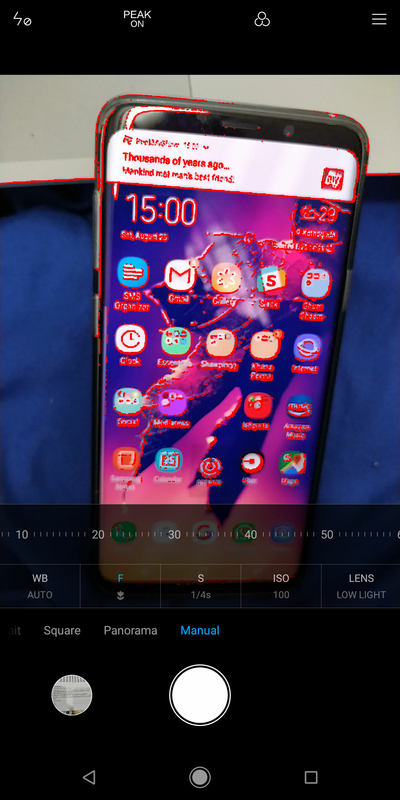 The screen can go really dim and that’s great for night-time usage. The lack of a notch means you don’t have to worry about your content being cropped out. However, the Mi A2, like many other Xiaomi devices, lacks Widevine L1 DRM certification, which means that you can’t watch Netflix and Amazon Prime videos in Full HD resolution on this device. Overall, a little more brightness and this could have been one of the best mobile screens in this price range. The Mi A2 cameras have been a hot topic ever since it was launched. 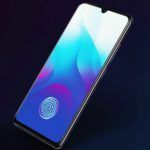 The phone has a dual-camera setup at the rear, consisting of a primary 12MP sensor (Sony IMX486) acting as its main sensor, and it has ƒ/1.75 aperture and 1.25-micron pixels. The 20MP sensor (Sony IMX376) acts as a secondary camera, and it has ƒ/1.75 aperture and 1.0μm. 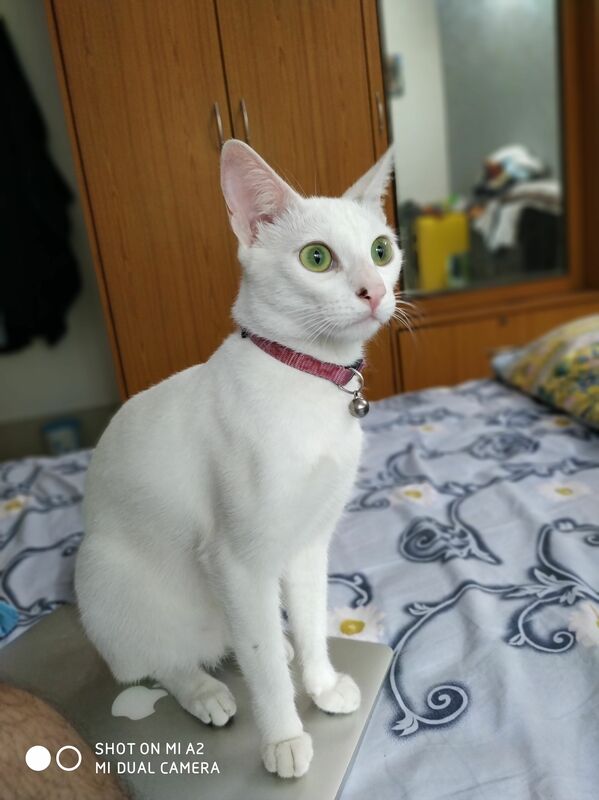 However, Xiaomi uses the 4-in-1 pixel binning technique, which combines light and color information from four adjacent pixels to form one pixel, and the result is a brighter and better 5MP image. This image is stacked to the 12MP image from the primary sensor for a better end result. There’s phase-detection autofocus (PDAF), too, along with an LED flash to help in pitch dark conditions. The 20MP selfie camera (Sony IMX376) at the front has ƒ/2.2 aperture and it features the same 4-in-1 ‘Super Pixel’ pixel binning technology, promising 5MP images with good clarity. For the selfie lovers, there’s also a soft-toned 4500K LED flash at the front for conditions when there’s almost no ambient light. 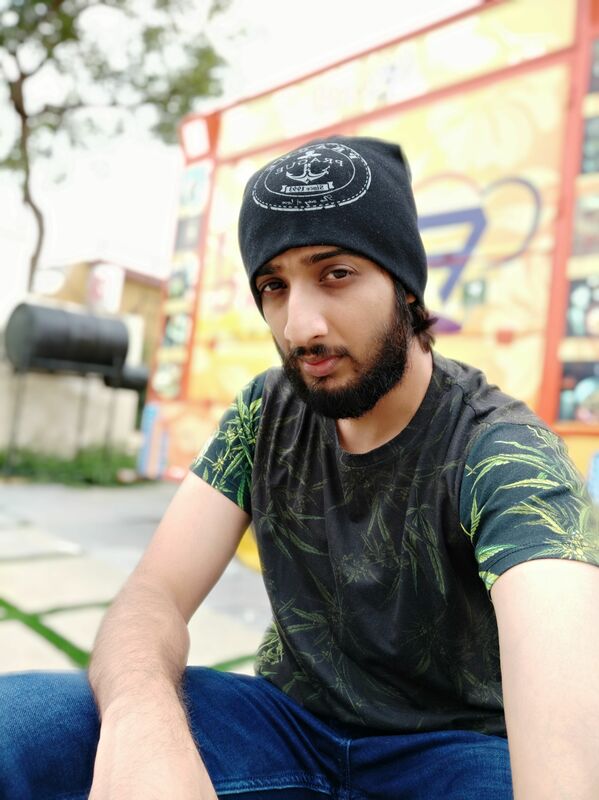 The Mi A2’s camera app is not what you’d get on a Pixel phone despite the Mi A2 being a device with stock Android UI. Similar to most other smartphones these days, there is a Portrait Mode for both front and rear-facing cameras. 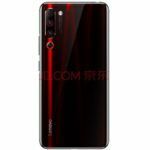 Other features include Face Recognition, AI Beautify 4.0, HDR Mode, and Burst Mode. The front-facing camera packs in some fancy stuff, too, and it includes AI-powered Beautify 4.0, HDR, AI-powered semantic segmentation, and face recognition. 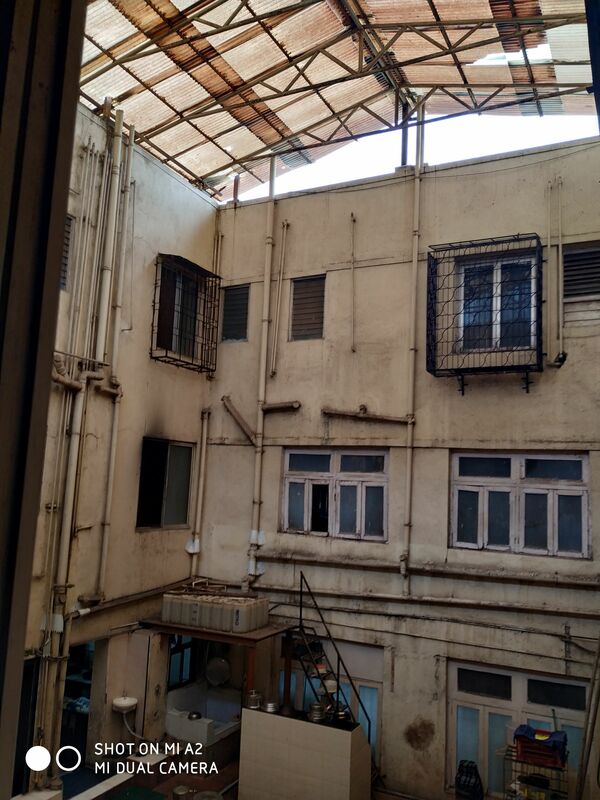 One thing that I didn’t like about the camera app is the settings layout. For some reason, the ‘Settings’ option in the Camera app directs to settings for just one particular mode that is currently activated. So let’s say, if you’re in Photo mode, you can’t see the video settings and vice-versa. The UI flow honestly takes some time to understand, and a couple of times, I lost myself navigating around the menus. The Camera app UI is minimalistic but takes some time getting used to. The Camera app also offers Instagram-style artistic filters. 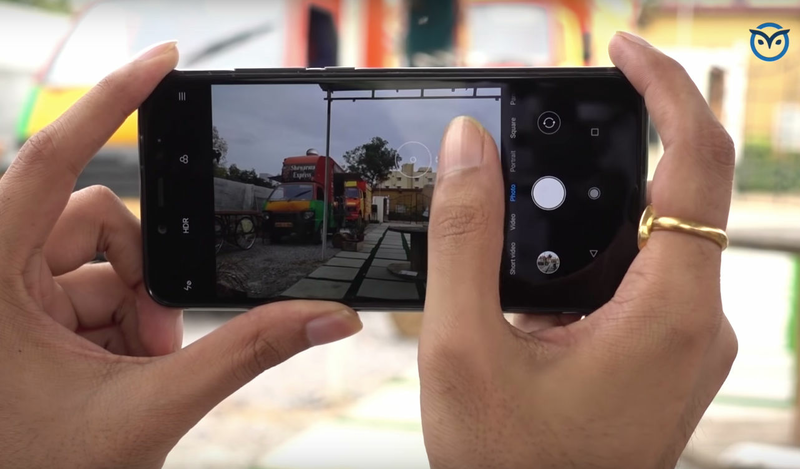 The Manual Mode on the Mi A2 allows you to choose lenses manually. The Mi A2 lacks 4K video capability at 60fps, but has plenty of options to keep you satisfied. The rear-facing camera also comes with a dedicated Manual Mode, which lets you fully control camera settings like shutter speed, white balance, exposure, and ISO. Xiaomi also lets you switch between the two lenses, which technically is supposed to help you in low-light photography. But in my usage, I found the Auto Mode to be much more suitable under all lighting conditions. 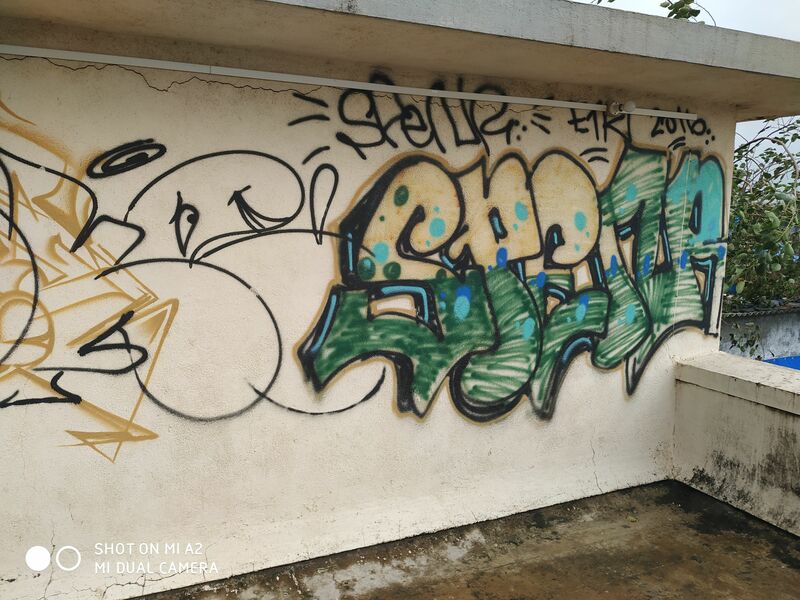 The manual switching between primary and secondary lens is confusing and is buried deep down in the Manual Mode, and Xiaomi should have just added a simple toggle to switch between these cameras. The Mi A2 misses out on 4K 60fps video recording mode, but it’s unfair to ask for it from a mid-range smartphone when many high-end phones still don’t offer it. You can capture 4K UHD videos at 30fps, Full HD 1080p videos at 30fps/60fps, and also HD 720p videos at 30fps. 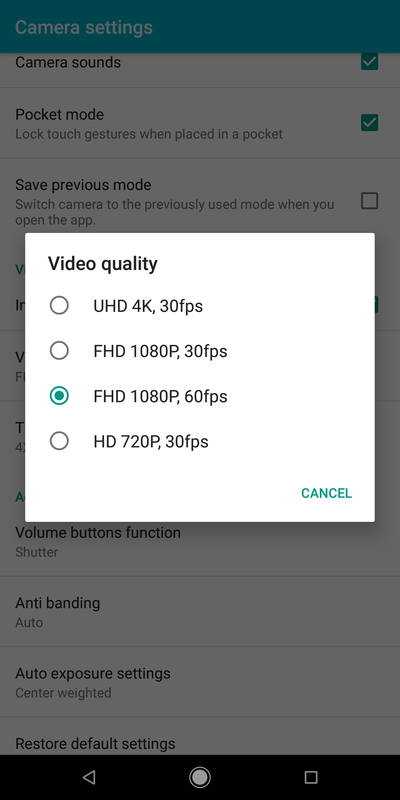 There’s also an option to shoot time-lapse videos and slow-motion videos (720p at 120fps). The Mi A2 doesn’t feature optical image stabilization, so it has to make do with electronic image stabilization (EIS). Although, it’s only effective at Full HD resolution and it works properly only in well-lit conditions because the stabilization fails in low-light conditions; especially if there are moving lights in the scene. 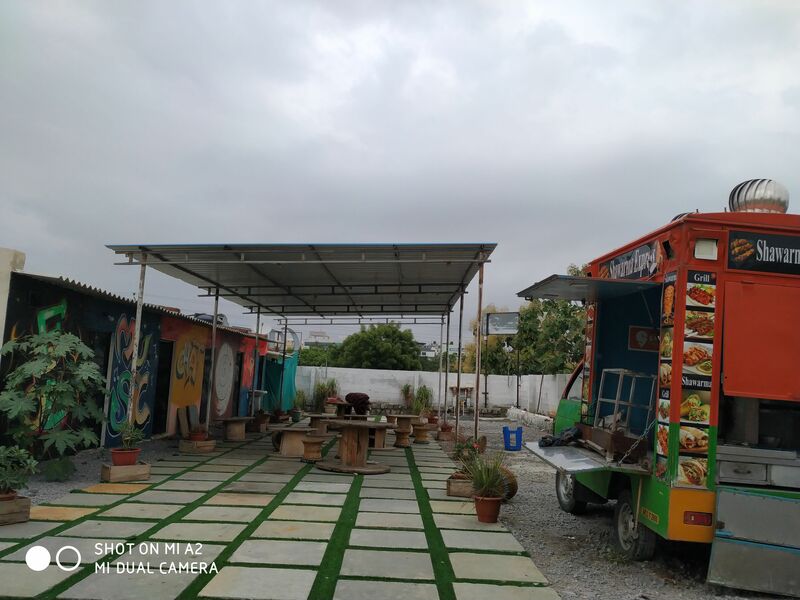 The Mi A2 does a good job in capturing the dynamic range and details in outdoor conditions. Auto mode photos almost always turn out to be eye-pleasing. 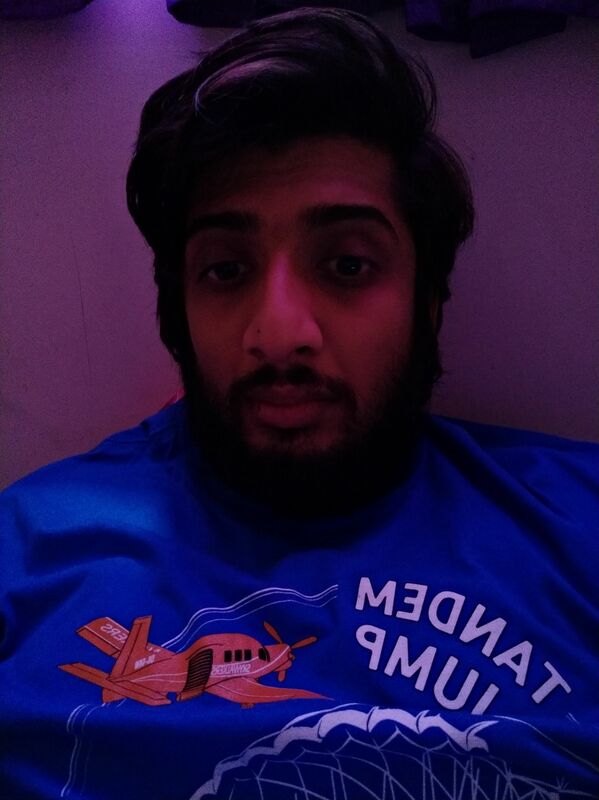 The Portrait Mode on the Mi A2's front-facing camera is really good. The AI Beautify feature works perfectly to even out the skin tone and enhance your selfies. So overall, how does the Mi A2 camera perform? Well, it’s amazing. The front-facing camera coming really close to the cameras on much higher-end phones. The rear camera also manages to impress thoroughly, as long as there’s enough light. The only issue I faced in my usage was the low-light performance of the rear camera, specifically the secondary lens. When in Auto mode, the primary lens is used by default and it delivers good enough results on its own. However, when you try to use the secondary ‘low-light’ lens using manual mode, the results are somewhat noisy. Yes, the low-light lens manages to pull in a lot of extra light into the images, but that surprisingly ends up in adding a lot of noise. 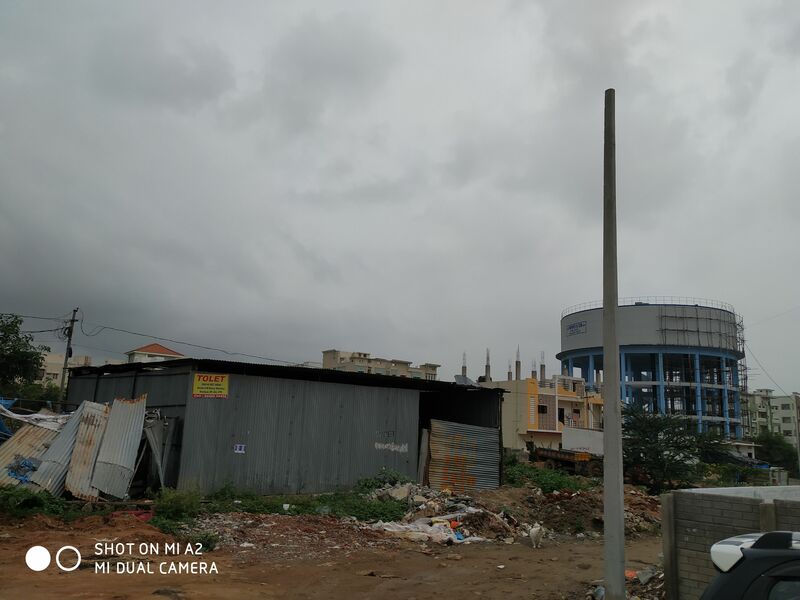 Apart from this, the Mi A2 cameras deliver superb results and it is one of the best cameras under the INR 25,000 mark right now. 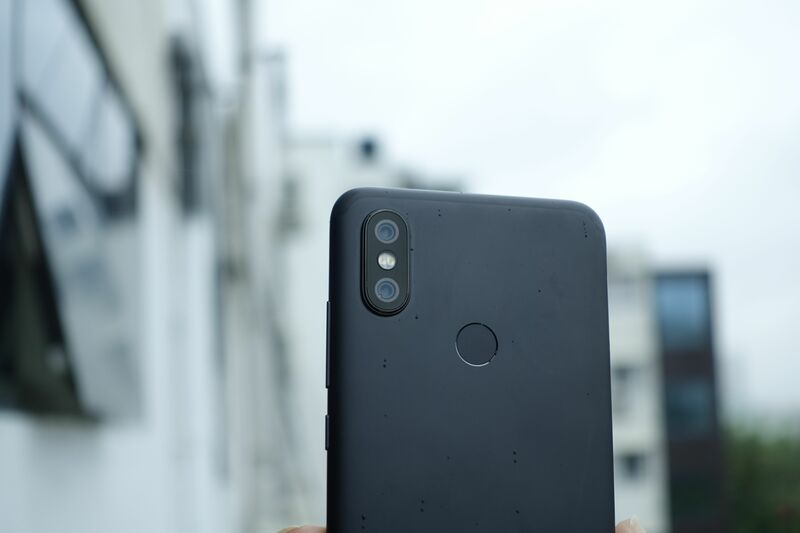 If you’re looking for better cameras than the Mi A2, I can only think of the ASUS Zenfone 5Z (Review) and the OnePlus 6 (Review), both of which feature OIS and are priced considerably higher than the Mi A2. Powering the Mi A2 is the Qualcomm Snapdragon 660 mobile platform which is currently one of the best mid-range chipsets. Unlike most other smartphones in this range, the Mi A2 is being offered in only one variant: 4GB RAM + 64GB internal storage. When it comes to day to day tasks, the Mi A2 breaks no sweat, whether it is launching apps or switching between apps. The stock Android experience surely helps in keeping things fast and smooth. Gaming on the Mi A2 is great, too, with very little or no stutters during my time testing out PUBG Mobile and Asphalt 9. The Snapdragon 660 is a potent processor, and it beats the Snapdragon 636 (which is used in the Nokia 6.1 Plus, Motorola One Power, Asus Zenfone Max Pro M1, and the Xiaomi Redmi Note 5 Pro) when it comes to GPU capabilities. 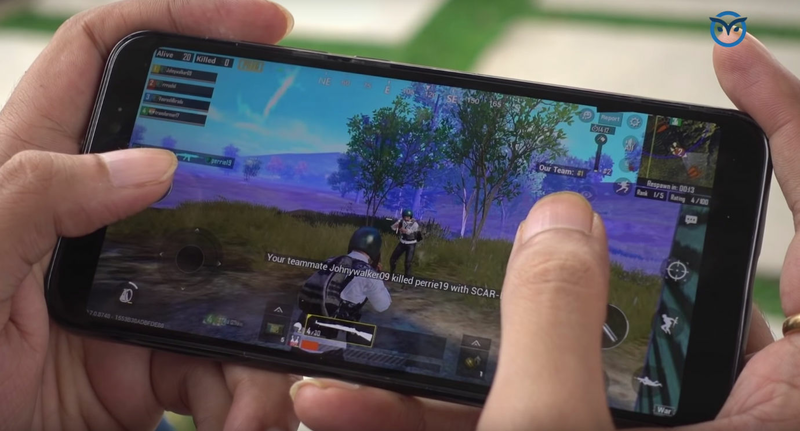 However, if you’re big on games like PUBG Mobile, it’s worth noting that the difference in performance between the Mi A2 and a Snapdragon 636 phone is minimal and limited to marginally better graphics rendering. If mobile gaming is your primary concern, you’re better off going for the Honor Play or the POCO F1. The best thing about the Mi A1 was its clean and smooth software experience, and the Mi A2 carries forward that legacy. It is Xiaomi’s only Android One smartphone right now. Android One not only gives you a stock Android experience but also comes with a promise of faster software updates. The Mi A2 was launched with Android Oreo 8.1 but has already received the official update to Android Pie 9.0. There is hardly anything to point out in the software experience of Mi A2. 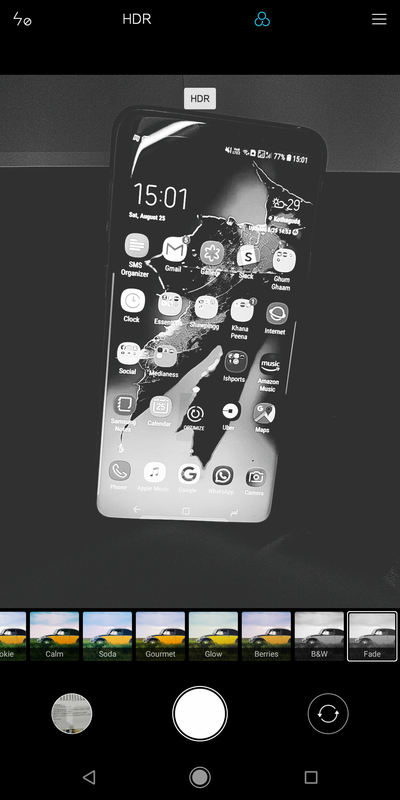 Despite being a mid-range phone, it just flies through day-to-day tasks and stock Android continues to be the most fluid Android experience you can have on a phone. 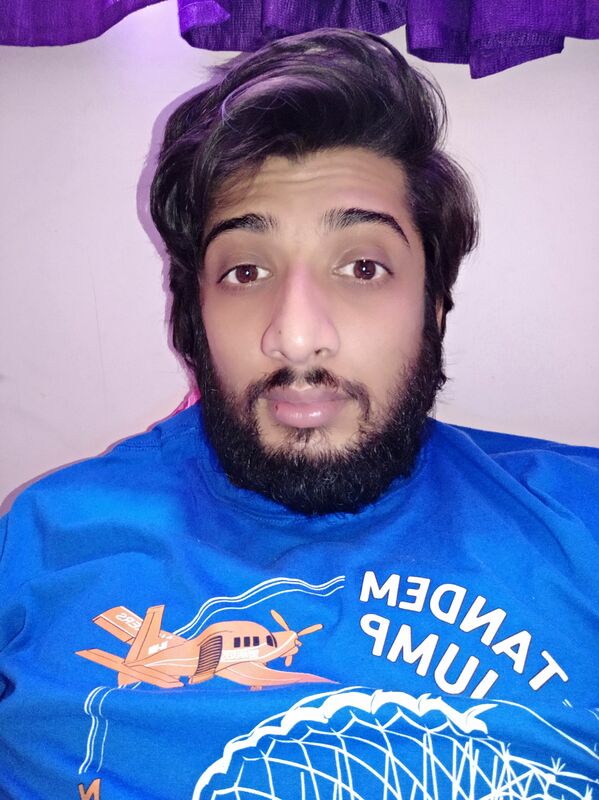 One thing that the Mi A2 misses out due to running stock Android is the fast Face Unlock feature. However, you can still set your phone to use your face to keep itself unlocked using Google Smart Unlock. There is a 3000mAh battery inside the Mi A2, which is small compared to many other phones these days. It typically lasted me through a regular work day. I was easily getting 4.5 to 5 hours of screen-on time on the Mi A2, which isn’t bad, but it’s definitely far away from being the best in this price range. Almost every Mi A2 competitor offers a higher capacity battery. The phone also misses out on the host of battery saving features that MIUI offers, but Android One does provide the standard battery saver mode. Despite being a budget offering, the Mi A2 comes with Quick Charge 3.0 capabilities and the Indian unit even features Quick Charge 4.0. But, there’s a loophole here too, as the charger which Xiaomi is including in the box is the standard charger (5V/2A). So you’ll have to buy a Quick Charge 4.0 compatible charger separately. The phone charges fast enough with Quick Charge 3.0, filling around 50% capacity in 20 minutes. It takes 1 hour 30 minutes for going 0 to 100 percent. 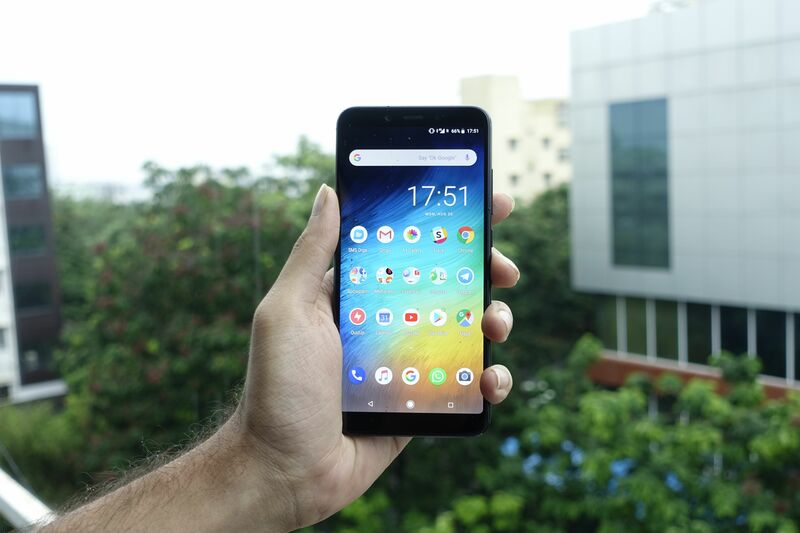 Should You Buy The Mi A2? The Mi A2 is a very good phone, featuring a solid design, great software, and some incredible camera performance. However, Xiaomi has taken some decisions with the Mi A2 that make it really tough to recommend as a worthy purchase. There is no 3.5mm headphone jack. You can’t charge your phone with the earphones plugged in. Moreover, there’s no microSD card slot, and the battery life on the Mi A2 is average. When the Mi A2 was launched, it was the only phone offering the Snapdragon 660 chipset under the INR 20,000 price bracket. 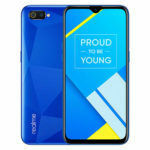 However, we now have the Realme 2 Pro rocking the same chip at an even lower price. 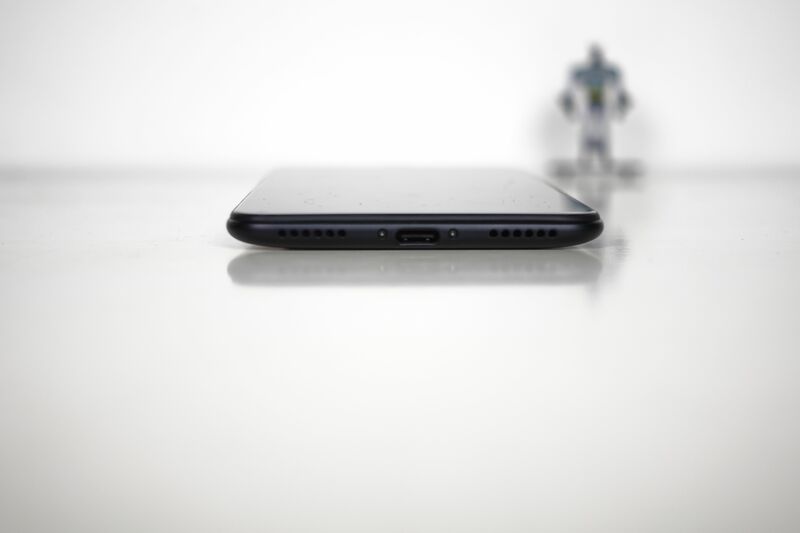 Even the Redmi Note 5 Pro and the Asus Zenfone Max Pro M1 make stronger cases for themselves, even though they pack the inferior SD636 processor, but they make up for it with their huge batteries, 3.5mm headphone jacks, and microSD card slots. 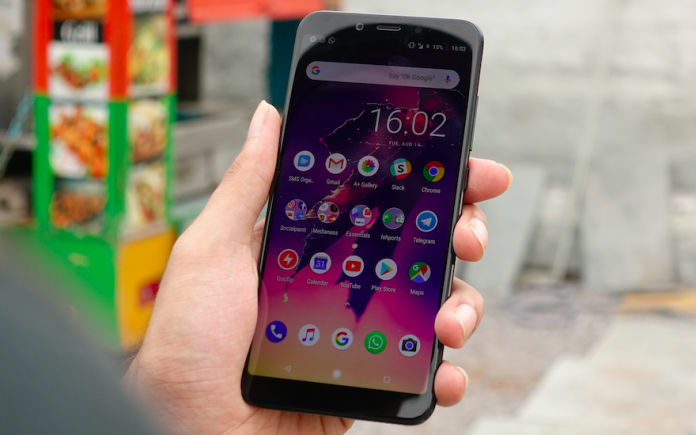 Then we have the Motorola One Power, which offers Android One goodness and a mammoth 5000mAh battery that easily lasts twice as long as the Mi A2. The Mi A2 clearly outdoes all of these phones, when it comes to the camera. If you can look past the exclusion of the 3.5mm jack, expandable storage, and a bigger battery, the Mi A2 will keep you more than happy. If you’re one of those who need the best camera phone under the INR 25,000 budget, the Mi A2 is the clear winner for you. That being said, if you’re looking for a more all-round satisfactory experience, and cameras aren’t your only priority, I would recommend you to go with the Motorola One Power instead. 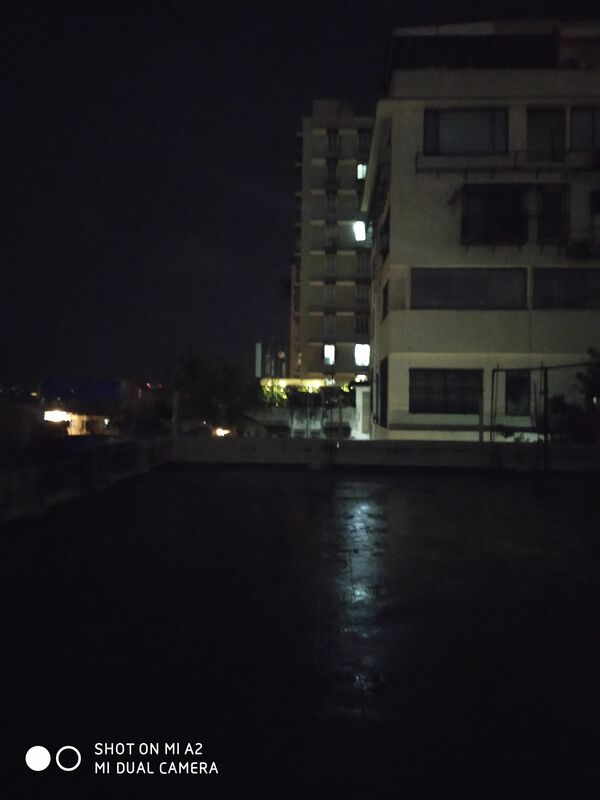 Day camera is good, but the night camera is not good. After the Android pie update, the mobile has become slow.